I am officially ahead of last semester in terms of books finished for pleasure. This brings my total up to three, which is actually kind of sad. But I did finish it, and not a moment too soon, since I have had it out on InterLibrary Loan from Northwestern University since last November. Fortunately, they let me return it a day late, otherwise I would have not been able to finish it. The book? 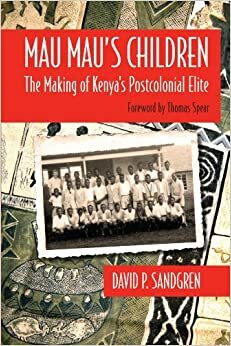 Mau Mau’s Children: The Makings of Kenya’s Postcolonial Elite by David P. Sandgren. Mau Mau’s Children is a memoir/revisiting of the years author David P. Sandgren spent as a teacher at the Giakanja Secondary School in Nyeri, Kenya. A newly-minted university graduate from Minnesota, Sandgren had no experience in Africa when he went to teach there, in the era of independence. Specific stories about his time there are few, but he does mention the roles that his students played in the Mau Mau Rebellion and how it affected them. Many lost family members and homes. Sandgren doesn’t dwell on that, however; he writes about the Kenyan school system and how, though Giakanja was a new type of school, a day school (most high schools in Kenya are boarding schools), it presented its own set of challenges, but quickly rose in reputation, especially when Sandgren caught up with his former students several decades later, which is the majority of the content of the book. Even the weaker students, those who failed exams, went on to become a “new elite” in Kenya, having received a high standard of higher education. Sandgren’s students’ occupations ranged from lawyers to postal workers, railroad executives to bank managers. Above all, they were (and are) able to provide a better future for their children due in part to the education they received at Giakanja. Another important factor of note was that all the students were from the Gikuyu ethnic group. 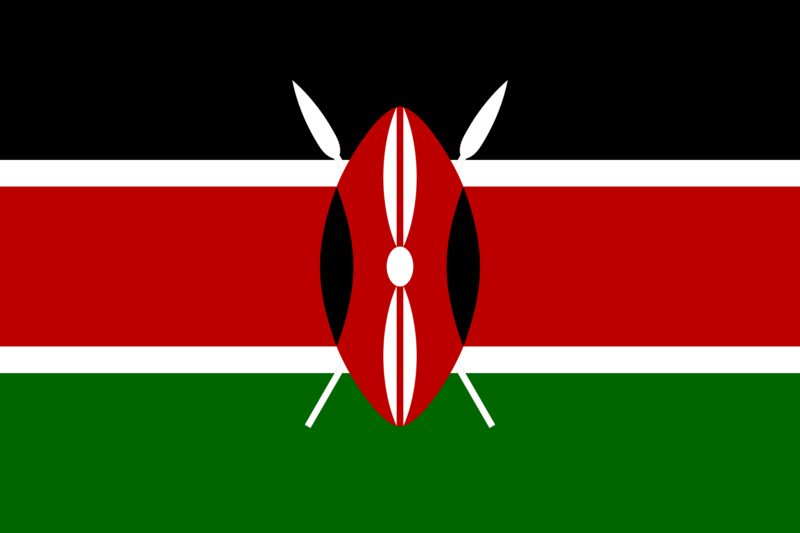 Also known as the Kikuyu, they are the largest ethnic group in Kenya. They lived in the central highlands of Kenya during the colonial era, placing them in a central part of the conflict between Kenya and Britain, its colonizer. Although they count many powerful and influential people among their ranks, the man who led Kenya for the bulk of its life as an independent nation was not one of them. There was some commentary in the book about the Gikuyu and politics, especially under the reign of president Daniel arap Moi, a member of the Kalenjin people. I know this is kind of a simplistic review, but it was a good, solid book, and not too long, at under 200 pages. Sandgren also provided an appendix of the activities of the students he mentions the most, although he interviewed at least a hundred people, including siblings, parents, and wives. Probably one of the most interesting parts in the book were the pages about the CE, or Comprehensive Exam. As Kenyan education was modeled after the British system, the curriculum was largely Eurocentric. When the exams came around, Sandgren’s students found themselves answering questions and writing essays about people and events that happened for all intents and purposes on another planet, far away in England. 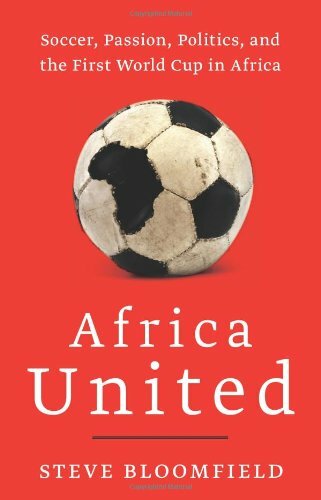 The only mentions of Africa didn’t even include Kenya; those mostly pertained to African geography, or questions such as “how the annexation of Northern Rhodesia benefited the British Empire.” Kind of an interesting reflective mirror effect; citizens of an independent nation, yet still subjects of the crown according to their schoolbooks. This week has been incredibly tiring, hence the lack of blog posts, but I’m still here, come visit, stay awhile. And thanks for another six-continent day despite waning traffic. As usual, shoutouts to North America (USA and Canada), South America (Brazil and Bolivia), Europe (Germany, Czech Republic, and the UK), Africa (Ghana), Asia (Kuwait), and Oceania (Papua New Guinea). Greetings from Munster, Indiana, where I am on the first leg of my trip back home, hopefully arriving tomorrow evening. I drove myself and my dad three hours and ten minutes to this Hampton Inn in the Indiana-based suburbs of Chicago. 10-11 hours to go tomorrow, and I hope I get to relax for most of it. What do you know, I finished a book. I initially got it for a project and it came all the way from UW-Milwaukee. Since it’s due in January, before I get back, if I wanted to read it for pleasure I either had to a) hurry it up and read it in one day, or b) return it to the library, sadly never to reenter my hands, a title forgotten among the legions of books I have yet to read. 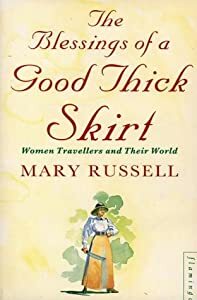 So in a turn toward the nonfiction market, I present The Blessings of a Good Thick Skirt, by Mary Russell. The book begins with the story of Egeria, a fourth-century pilgrim to Jerusalem. The theme of women exploring in the name of religion comes up a lot, with the great Hester Stanhope coming to mind, traveling through the Middle East dressed as a man. Over in Tibet, you had Annie Taylor who just wanted to live her life cloistered away in a city where she could just be religious and not have to worry about anything else, and the sad story of Susie Rijnhart, a Canadian adventurer who lost everything in Tibet, including her husband and son, but found her way back home to Canada and then had the courage to go back AGAIN – and of course, she didn’t make it this time. These were the first two Western women to see Tibet, a feat in and of itself. The only sections I didn’t care for were the ones on mountain climbers and on more contemporary women, women that the author knew personally when she wrote the book in 1986. It just didn’t seem fair to group her friends with the likes of Mary Kingsley and Hester Stanhope. But then, there’s Sophie Heath, a flash-in-the-pan aviatrix from the 1920s who survived risky flights and stunts only to die of injuries she sustained after falling down the stairs of a bus in London. Oh well. Stabbings in the Sahara, somersaults on an airplane wing, slippery steps on a bus – we all gotta go sometime. But if that last thing happens, make sure my obituary includes all my adventures, and make some up to impress the world. It doesn’t matter what they are, as long as they’re earth-shattering. Surprise me. I never thought I’d make it this far – I thought I’d lose interest within a week – but my 100th post is here. I hope you’ve been enjoying my random ramblings up to now, and there will be more rambles, rants, reviews, and random memories to come. Now, apropos, I’d like to comment on an interesting news story I read about recently. On December 2, NPR correspondents Gregory Warner and David Kestenbaum published a piece on the afterlife of American clothing, which you can read here. Apparently, Africa is where America’s donated t-shirts go to die. Warner and Kestenbaum’s travels took them to Africa, where they ended up in a Kenyan clothing market. The t-shirt section, as one might suppose, is massive, considering the amount of custom-made t-shirts Americans distribute for film festivals, family reunions, and 5k runs, that usually end up either in the back of a messy closet or, as these were, donated to Goodwill and then sent over to Africa. That sentence had an inordinate amount of clauses. Clearly, this Kenyan danced the night away in celebration of Jennifer becoming a woman. Upon reading the story and seeing the picture of the smiling Kenyan showing off the shirt, on December 10, Jillian Scheinfeld of Kveller.com set out to see if she could find the mysterious Jennifer. The only clues available were the date, November 20, 1993, and a tag sewn into the back bearing the name “Rachel Williams.” Armed with this info, Scheinfeld appealed to the Internet, and because this is 2013, the bat mitzvah girl was located exactly one day later. Thanks to the initiative and Facebook skills of Aaron Soclof from the Jewish Telegraphic Agency, the t-shirt’s owner, Rachel Williams (now Rachel Aaronson) was alerted to the presence of her discarded swag in a marketplace in Kenya and on computer screens across the Jewish world. Aaronson gladly consented to being interviewed, and at the end, gave Soclof the final piece of the puzzle: the identity of one Jennifer Slaim, now Rasansky, a Hebrew school friend at whose bat mitzvah Rachel Williams danced with the toons in Troy, Michigan in 1993. Aaron Soclof published the results of his search and interviews with the girls (who are still friends!) here. To bring the story full circle, Kestenbaum and Goldstein, our friends from NPR, published this follow-up which features a picture of Jennifer, all grown up, posing with the same shirt. This story takes me back to my own bar mitzvah. As the youngest in my class (and the least popular) my parents wanted my bar mitzvah party to be extra special, in contrast to all the Saturday night Beth El auditorium dances I’d been regularly attending for the past year of my life. It just so happened that earlier in the year, they had taken a ride on the now-defunct Liberty Limited, a dinner train that ran from New Freedom to York in southern Pennsylvania, and pitched it to me for a possible bar mitzvah venue. I probably mumbled something like “I don’t care,” but I ended up going with them toNew Freedom to see the train and figure out if it was financially feasible. As it turned out, the cost of renting three train cars for the afternoon (a car with chairs/tables for myself and my friends, a car with chairs/tables for all the adults, which included a “sky car” covered with a glass dome, and a big, open “dance car” to run around which came with a DJ who played me and my sister’s CDs) was less than that of a fancy party hall and hired DJ/ professional entertainment. My parents were thrilled with the idea that they’d come up with and at how cooperative the train company were. When I asked about having some sort of entertainment on the train, my parents set out to get that taken care of as well, hiring five local actors to act out a murder mystery on the train for my guests to solve. The big day came, and honestly, I wasn’t too excited to attend. The only friends I had were a handful of people from my grade who’d bit the bullet to attend their 139th bar mitzvah that year, and a few from my synagogue, and even so, most of them were really my sister’s friends, going along for the ride to make me feel like I actually had friends. We met in the parking lot of my middle school and boarded a coach bus for the hourlong ride to the New Freedom train station, where we would board the train. At some point during the day I realized that my entire party would be in motion, and I couldn’t decide whether that was cool or nauseating. Since it was a Sunday morning, clothes were casual and food was of the breakfast variety, consisting of Goldberg’s bagels and donuts from the kosher Krispy Kreme – choices that I later discovered my friends appreciated, both in terms of eating familiar foods and for the girls who happily showed up in sweatshirts and jeans rather than the tiresome teenage excuse for an evening gown. As the day went on, I actually started to enjoy myself. We had a bunch of disposable cameras, and I remember taking lots of pictures of people (but not being in them myself), playing with my younger cousins, running around the train, and even going up to the front to honk the horn, something which I initially had no interest in doing, but…YOLO, you know? Plus, it was November in the beautiful Pennsylvania Dutch country, providing interesting vistas that changed throughout the party. Kestenbaum, David and Jacob Goldstein. <http://www.npr.org/blogs/money/2013/12/11/250200378/we-found-this-20-year-old-t-shirt-in-kenya-the-internet-found-the-original-owner>. Scheinfeld, Jillian. “Let’s Help NPR Find the Owner of this Bat Mitzvah Shirt from 1993.” Kveller.com. 10 December 2013. <http://www.kveller.com/blog/parenting/lets-help-npr-find-the-owner-of-this-bat-mitzvah-t-shirt-from-1993/>. Scheinfeld, Jillian. “Mystery Solved.” Kveller.com. 11 December 2013.< http://www.kveller.com/blog/parenting/jennifers-1993-bat-mitzvah-t-shirt-mystery-solved/>. Soclof, Adam. “How Jennifer’s bat mitzvah t-shirt wound up in Africa.” Jewish Telegraphic Agency. 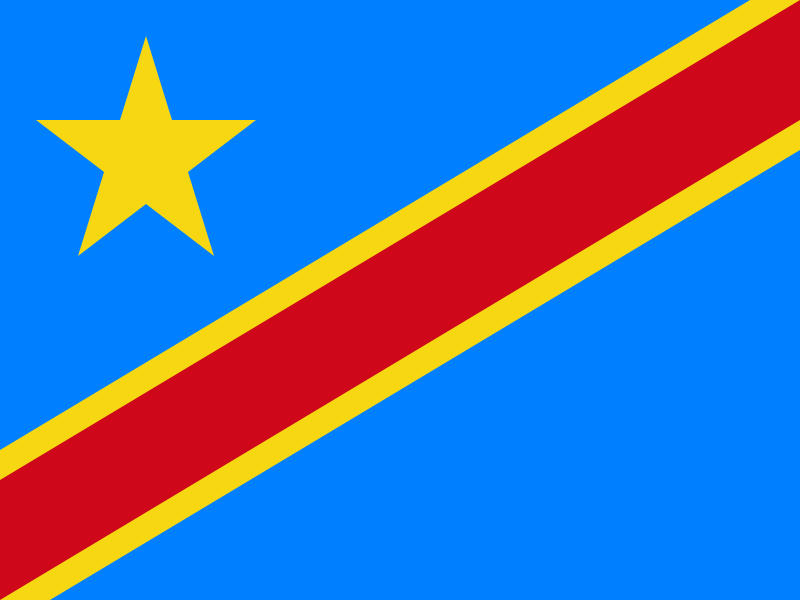 10 December 2013. <http://www.jta.org/2013/12/10/news-opinion/how-jennifers-bat-mitzvah-t-shirt-wound-up-in-africa>.